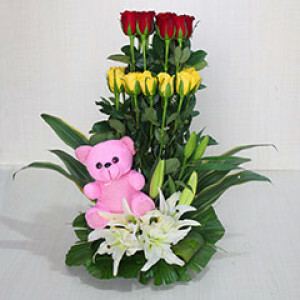 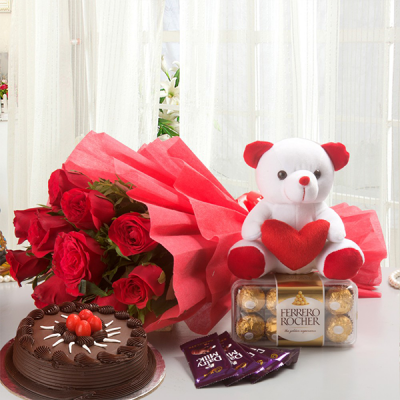 Buy the traditional Valentine Roses and give it a cute twist by adding Teddies to the mix. 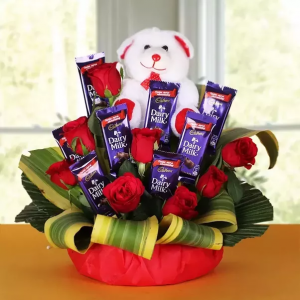 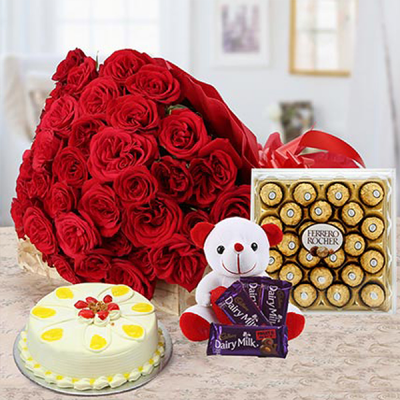 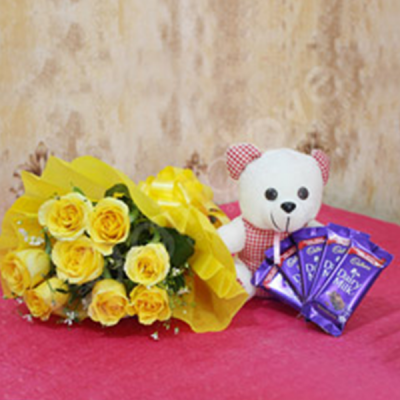 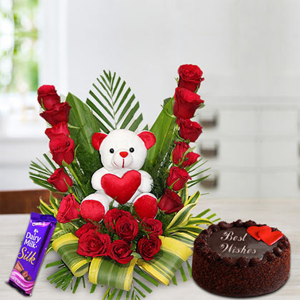 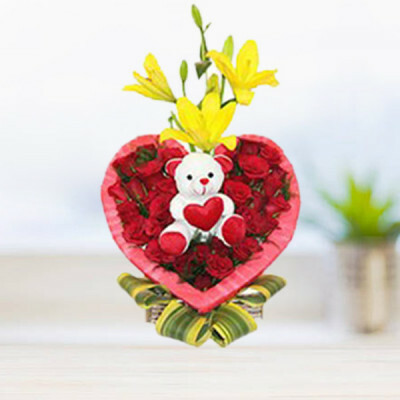 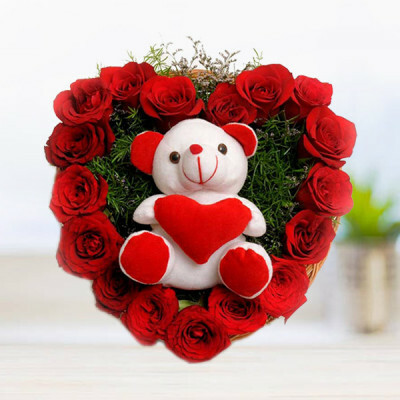 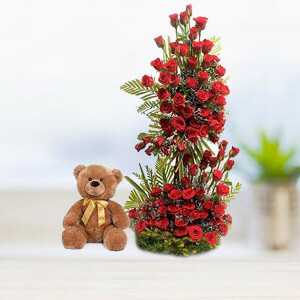 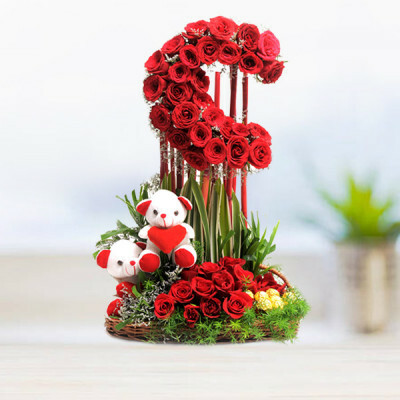 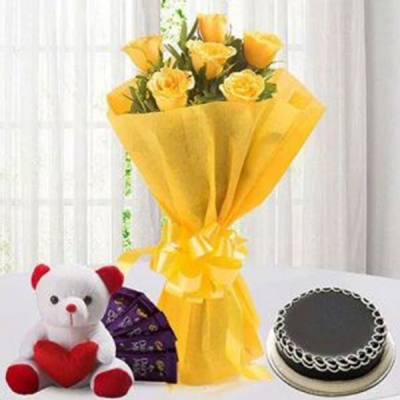 Order Valentine's Day Roses with Teddy from MyFlowerApp and we will deliver anywhere in India within 3 hours and free shipping. 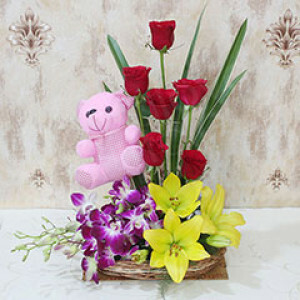 Loving someone is as easy as falling. 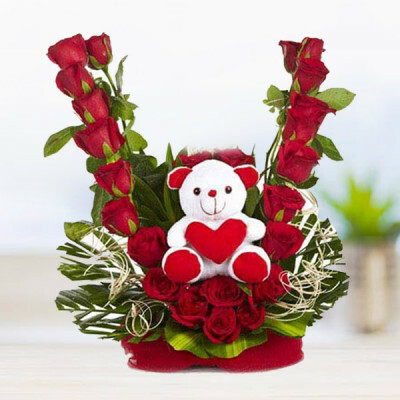 The hurdle is expressing that love. 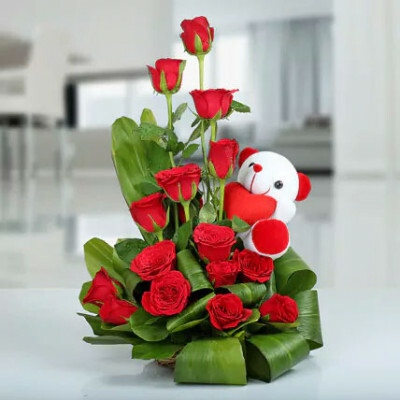 If you too are facing a similar struggle, or are just looking for something that says ‘I Love You’, the most obvious solution is roses. Red roses signify true love and deep passion, while pink roses signify a crush. 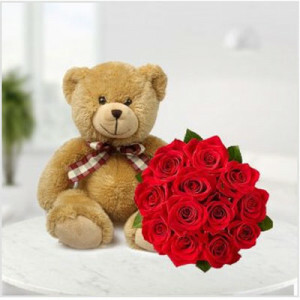 Include a romantic message with a dozen roses, and there can be nothing more unambiguous than that. If you wish to do something more than the standard Valentine's Day roses, get a heart-shaped arrangement, or a huge bouquet of mixed roses, and add a teddy to the combo. 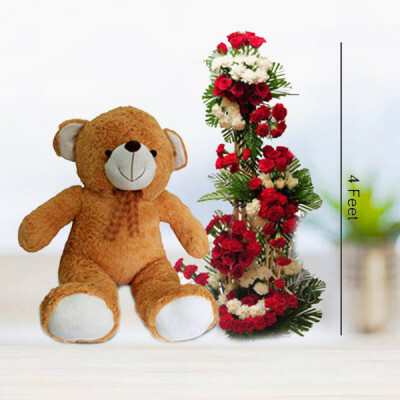 A teddy bear is a friend that is always there for you. 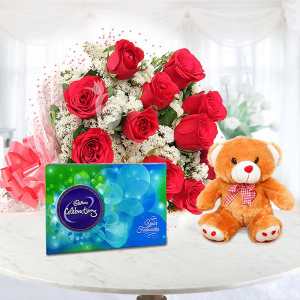 Present such a friend to your love, this Valentine's Day. Whenever she misses you, she will have that cuddly, fuzzy baby filled with your love for her. 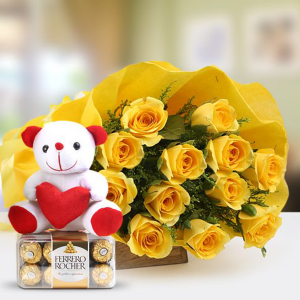 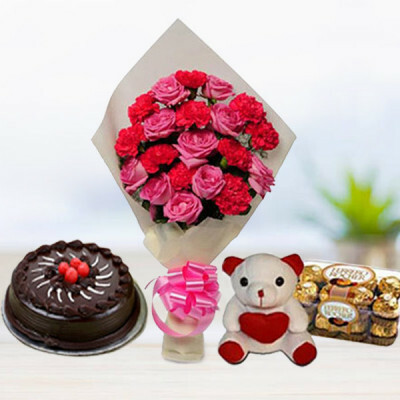 If you are far from her, get this huggable buddy delivered to her doorstep within 3 hours with MyFlowerApp’s express delivery services. You can begin the day with a bang, by sending your love to your lady love with midnight delivery of Valentine’s Day Roses with Teddy, i.e., double the fun! 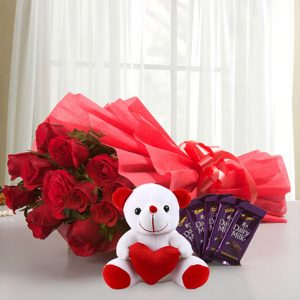 Both the things she will love, on the day of love.